There stood Oliver Hardy, chins and all, but something was missing. No Stan Laurel. 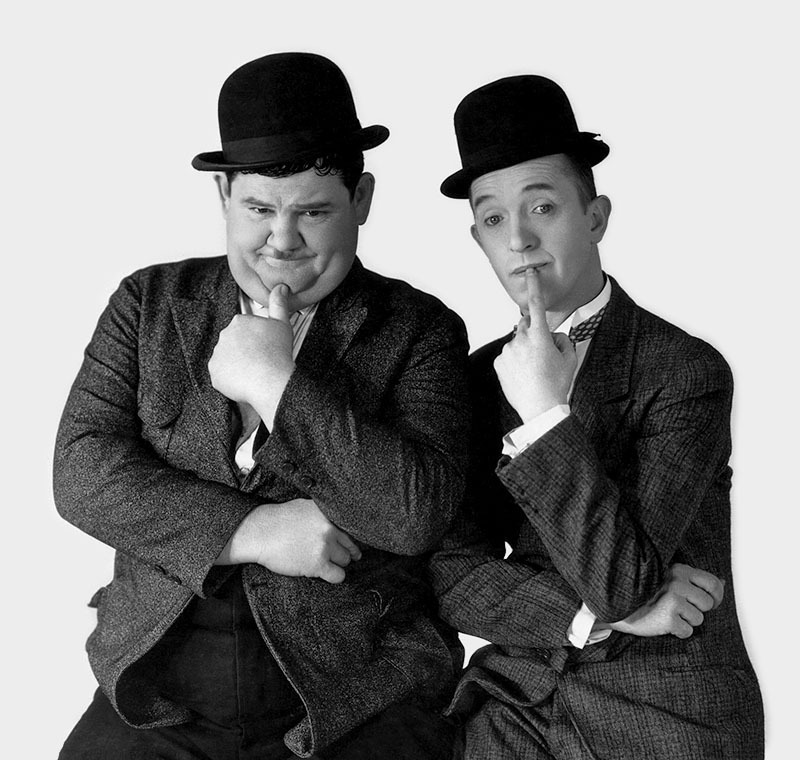 For the second time in 23 years of existence, the famed comedy team of Laurel and Hardy has split up. 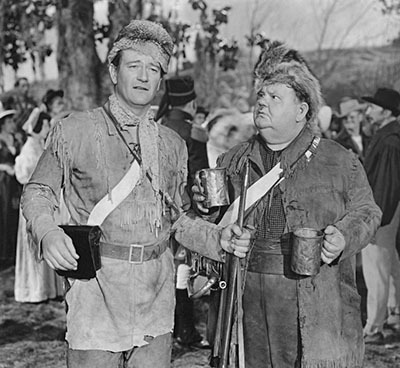 I found round, firm and fully-packed Hardy in a buckskin out on the set of John Wayne’s “A Strange Caravan.” He admitted that a couple of cows gave their lives to supply the costume. I asked if his present role meant a permanent split with the wistful Laurel. The two comics started performances together in 1926. Until now they had only one professional division. That was in 1935 when they were working under separate contracts to Hal Roach. Stan had a dispute with the producer and left the lot. Hardy had to finish out his contract, and Roach out him into a thing called “Zenobia,” co-starring Billie Burke, Alice Brady and an elephant. The picture fell flat on its trunk, and Babe rejoined his teammate. In 1947 the pair played successfully all over Europe. Babe shed 75 pounds and wasn’t happy with the experience. “I tasted my first whale meat and my first horse meat,” he said sourly. He is now back up to his standard 295 pounds. Hardy offered a reason for their recent inactivity. He hoped (as I do) that film makers would realize the public’s thirst for laughs. Babe said that he and Stan have never had any friction. “Why should we argue? We both do different thing professionally. What I do, he can’t do, and vice versa. Babe said he discussed the single role will Stan, who said to go ahead. “He called me up at seven this morning to wish me luck on my first day,” Hardy said. He’s going ahead with his separate career and will do a role in “Riding High” with Bing Crosby. But the boys may get back together in a picture for Glenn McCarthy Productions. I hope so. I miss their wonderful finger-in-the-eye and brick-on-the-foot brand of humor.